To say that this week has been mind-numbingly stressful and muscle-achingly exhausting would be an understatement. Now, all I want to do is slip my weary, achy body into a warm, relaxing bath, then slip under a fluffy duvet with a hot chocolate in one hand and The Winters in another. But first, the bath. Seriously, there is little that compares to a warm, fragrant, cozy bath when you are feeling tired, achy and generally blah. But as I have absolutely no energy, I am going to opt for an effortless bath, which is just as great at soaking away all cares as its more exotic relations. Since I need to calm my nerves more than anything else, it’s the sandalwood-ginger-rose oil for me. However, I am also giving you more tried-and-tested remedies to target your specific needs. Remember when we were hurt or upset and mom would tuck us in her lap and make all the bad stuff go away? This bath can’t compete with mom (nothing can!) but it does help chase away the blues. Pour two cups of milk and a packet of oatmeal in warm water. The oatmeal exfoliates and revs up blood circulation, while the milk soothes and moisturizes. More importantly, the scent of milk and oatmeal conjures up images of mom, vacations and chilly mornings spent bundled up in a fluffy, cozy sweater. This is the one I turn to when my brain feels like it’s going to explode right out of my skull: Tie two ounces of dried chamomile in a clean sock and hang it under the water spout of your bath. The oil of azulene in this anti-inflammatory herb will relieve tension and sedate your nerves. Keep it very warm (but not scalding): A bit of steam will step up the results. Too tired and wound-up to sleep? Add 20 drops of lavender oil and 5 drops of marjoram oil to very warm water. The complex chemical composition of lavender promotes sleep-inducing alpha waves; while marjoram is is known for its warming and soothing effect on the body. Add 4 drops each of sandalwood oil, ginger oil and rose oil to very warm water and soak for about 15 minutes. 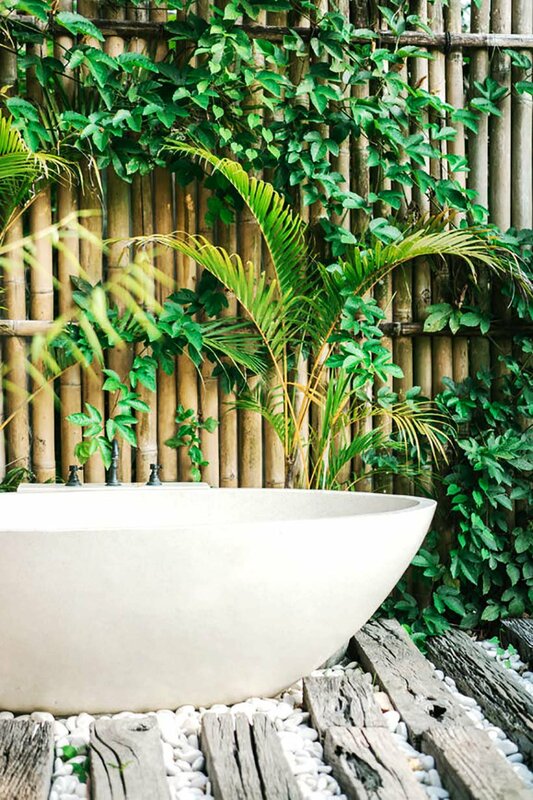 This bath is guaranteed to relax, soothe and calm your frazzled nerves with its cocktail of stress-relieving ingredients. Too tired to move but still need to head out of the house? Add 15-20 drops of rosemary oil to tepid water. Full of borneol, camphor and camphene, rosemary is an antiseptic and stimulant that will make your skin tingle and wake up your entire body (and mind). Scrub from head-to-toe with a bath puff to supercharge the bath’s rejuvenating effects. Which bath recipe do you pick today?